This document sets out the policy of Clitheroe Golf Club, with regard to all matters impacting on course preparation. The aim of this document is to establish a clear and consistent approach to course management to fulfil the potential of the course for the benefit of members, their guests and visitors. 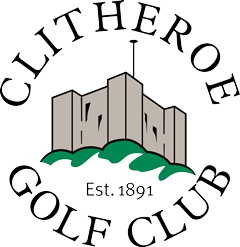 Clitheroe Golf Club is a traditional members Club which was established in 1891. A James Braid designed course, modified over the years to utilise purchased land. A parkland course, with many trees, and a predominantly clay-based soil. The key objective is to provide a well-managed first-class golfing facility for members, guests, visitors and the many regional amateur/professional golfing associations who regularly choose this venue. Mindful of the developing nature of the game the Council are determined to see the continued growth of the course, ensuring that we remain both in the forefront of possible championship venues as well as a first-class members club. Every hole presents its own particular challenge to both high and low handicap players. This heritage has to be protected, and where appropriate improved, for the benefit of the Club’s members, present and future. Continuity of policy is essential in golf club management, and nowhere is this more important than on the golf course. The course is laid out on soil structures where some areas cannot withstand very wet conditions. These areas are adversely affected by traffic caused by heavy use, particularly golf buggies and trolleys. Compaction has occurred in many areas around the course, especially around greens and on walkways to the next tee. The agreed policy will be to relieve compaction by intense aeration programmes and where this is deemed inefficient by reconstructing a turfed walkway, to avoid further compaction in the winter months when the grass has stopped growing, a trolley ban will be introduced and where necessary traffic will be diverted. Any such restrictions will only be imposed when it is deemed absolutely necessary. The green surround should be maintained to provide a smooth, well presented transition from fairway to putting green. This may include a close-cut fringe, collar and apron. Banks and mounds within the green surround should be mown at a height which retains an attractive presentation without promoting scalping, drought or wear stress. The green run-up and collar should comprise a similar texture and density of turf to the greens providing firm and dry surfaces which will facilitate a wide variety of approach play. The apron will be used as a frost hole in winter therefore establishment of a bent/fescue sward will be encouraged. Bunkers should be maintained with an even and consistent sand distribution throughout the hazard and cannot guarantee that the ball will collect to the centre. They should be designed to drain freely, be visible and influence play. The sand used should be of a specification and laid to a depth to provide for a consistent playing surface. The semi-rough should be mown to provide a nominal penalty to the wayward shot. It should be of uniform texture and height. The unmanaged rough has important environmental value, creating wildlife habitats, and encouraging the indigenous flora and fauna. The woodland areas are managed to encourage the indigenous species to thrive, removing the dead diseased and damaged wood, in line with the plan submitted to the forestry commission. Trees that are hindering the quality of turf be it shade, or drainage are also removed. The basic philosophy of achieving sustainable management through best practice is always followed. Maintenance is programmed to minimise disruption to play, but, where possible, to maximise the benefit from each operation. The long-term policy is to encourage bent grasses to develop and thrive. This objective cannot be achieved quickly whilst still maintaining greens in a good state for play. This long-term objective can be achieved by a continual programme of aeration/overseeding to create conditions, which encourage healthy bacterial activity, which in turn breaks down the thatch layer and encourages the deeper rooting species of grass. The height of cut on greens is the responsibility of the Course Manager and depends on his reading of future weather conditions, forthcoming events, the state of the soil etc. The height of cut (HOC) is variable throughout the year normally between 3.5 – 6mm. A combination of ride on triple and walk behind machines cut the greens at varying frequencies depending on the time of year. The use of groomers, verti-cutters and turf rollers to enhance the greens surface combined with mowing is left to the discretion of the Course Manager. Brushing prior to mowing will enhance the quality of cut and helps to reduce the incidence of fungal disease attack. Regular shallow aeration will take place throughout the year using pencil/slit tines to keep the profile open and aid water penetration. Deeper more disruptive aeration will be limited to end of season with the verti drain/earthquake. Hollow tining will take place as advised by the agronomist upon test results of the organic matter content. The fertiliser programme adopts the minimal input philosophy, target 75-100kgs N per hectare per annum. Granular feeds applied early season, moving to liquids as ground temperatures rise through the summer reverting back to granules in the autumn. Top dressing helps to maintain surface levels and to dilute organic matter at the base of the sward. Apply lightly in spring 15-20 tons per 18 greens as often as conditions allow, with 60-80 tons applied following hollow tining in August, again lighter applications in autumn if conditions allow. Reaching an annual target amount of 150 tons, as advised by the agronomist. Judicious use of the irrigation system coupled with some hand watering is essential in relation to the prevailing climatic conditions and soil moisture content. Watering should not, however, be used as a means of creating artificial holding conditions for balls being played into greens, which is contrary to policy. Similarly, hand watering is used solely to alleviate stress and prevent the risk of die back in hot, dry or drought conditions. The bore hole water is used to treat the golf course and is regularly tested for its compatibility. These areas should provide the same quality surface as the greens, but with a raised height of cut. (6.5 – 9mm). Mown 2-3 times a week in peak season, with clippings boxed off. Normally mown with a ride on triple, but are hand mown for special competitions giving extra definition. Top dressing and spray applications coincide with the greens applications. Aeration, on these areas will have to be stepped up in the coming years to cope with the wetter weather we are having, causing a thinning of the sward. Height of cut (12- 15mm) and frequency of cut will be determined by the seasons and the weather, clippings are not collected and are generally cross cut to produce more upright growth, however in wet spells they will be mown in halves to reduce tyre marks on the turf. Fairways are divotted when labour is available, and aeration is mainly verti-draining and scarifying. Top dressing along with winter drainage projects will be carried out to promote firm and dry playing surfaces throughout, concentrating on main traffic areas and known wet spots. Weed and pest control measures to be taken as necessary in accordance with policy as previously detailed. Mats will be used to keep fairways in good condition for the main playing season. They will normally be used between November and March depending on weather conditions. Tees are cut 1-3 times per week by walk behind hand machine in peak season. Clippings are always boxed off. 10mm height of cut. Markers moved 7 days a week during the season, divotted 5 times a week, litter bins emptied. Aeration and topdressing carried out as necessary during the year. An ongoing winter programme is to level out any uneven tees. Winter tees/mats on tees will be used to maintain good quality summer tees. Raked as weather conditions/fixtures demand, varying from a tidy (removing animal scratches etc) to a full competition rake. Rakes should be left in the bunker after use. In the spring clean sand is added to bunkers to make them perform (drainage) for the season ahead, MINIMUM RECOMENDED depths are 2” on the bunker face and 4” in the bunker base (consolidated depths). The bunker and its boundary to be trimmed as necessary to retain a clear definition to the hazard. Use only a specified bunker sand from a consistent source. In the past number of years large areas of rough have been cut back to enhance the golfers experience and to speed up play. These areas are now regularly mown adding to the greenstaffs workload. The areas of rough that are now left are deemed “well off line” and must be left in their natural state for ecological and practical reasons. The integrity of each individual golf hole must remain. The policy should be that wherever possible paths leading to and from teeing areas should be grass. Where, because of unavoidable traffic patterns, this is not possible, hard surfaced paths will be constructed. The majority of work is done in-house. Grinding, engine servicing, setting of cutting units and general repairs will be carried out by green staff. However, on occasions machinery will be sent out to be looked at. Trolleys (power or pull) may be used for the majority of the year with restrictions coming into place for the winter. It is at the course manager’s discretion when ground conditions are deemed unfit for trolleys, generally, a period from November to end of March. Irrespective of the type of wheel fitted. On no account is any type of trolley to be taken onto tees, greens, greens aprons or surrounds. Golfers must follow all traffic management measures. Failure to do so may result in disciplinary action. Buggies are available for hire to people with a disability, who would not normally be able to progress around the golf course. Clitheroe is not a course designed for buggies and careful monitoring of the effects of this extra traffic will be carried out. During times of inclement weather/ buggy bans will be imposed to spare the course from unnecessary damage. Buggy users are reminded to remain on the buggy routes at all times, and to keep away from greens, tees and general high wear areas. In inclement weather, if the course is particularly wet or considered dangerous, the course manager has the decision on whether the use of buggies may be maintained. This decision must not be overruled by anyone connected with the club without full consultation with the course manager. Course management during inclement weather. If the course is engulfed by fog and you cannot see the 1st fairway bunker from the 1st medal tee, then the course shall be closed and should be cleared of golfers till this is visible. For early morning instances the course shall be closed by a member of the green staff if the statement is valid. This is a fair distance and allows greenstaff to work safely and takes out all risk of the golfer being hit by another golf ball. During the day/weekends the Professional has the right to monitor the situation and open/close the course accordingly. Where possible a telephone message will have the status of the golf course. In winter a closure will remain in force for the entire day. During the summer months inspections will take place throughout the day. Clitheroe Golf Club is committed to rewarding staff to BIGGA/CGCS scales. Clitheroe Golf Club will pay the annual membership subscription to BIGGA for all members of the greenkeeping staff. A full inventory of course maintenance equipment is maintained. A planned programme of replacement machines is in place as an ongoing measure, though there is some flexibility within this structure to delay or bring forward purchases as the need arises. Only specified materials from a reputable company should be purchased for the golf course. Quality should not be sacrificed on a cost basis. Laboratory analysis will be undertaken on products when deemed necessary. The Course Manager to have sole authority on purchasing materials for the golf course. The plan did (and still does) comprise of a list of proposed projects to be completed on an annual basis but with enough flexibility to allow for movement of individual projects forward or back a year in accordance with limitations of weather and finance. The club budgets for twice yearly visits from a professional agronomist. He is given a remit to advise on course maintenance and development issues. It is current policy to use the advice from the STRI. Any significant alteration or addition to the golf course proposed within the golf course development plan should be assessed through the Course Manager and an STRI architect for their comments before being undertaken. The architect will be expected to advise on such matters, taking the design character of the course into account. The club budgets for a specialist consultant in this area, and he advises and produces a working document on all issues relating to safe and best practice on the golf course. subjected to verbal complaints and employees of the club should have a procedure for reporting golfers who abuse them in this manner. A monthly newsletter informs members of works carried out and forthcoming operations that may affect course condition. Notices of works likely to cause disruption to play are drawn up well beforehand to give those in the appropriate position of responsibility time to inform membership/visitors to make alternative arrangements for play if they consider this necessary. Members are encouraged to support the objectives by making constructive suggestions in writing to the chairman of green or secretary. On course notices will be used when relevant but will kept to a minimum for aesthetic reasons. The golfer of today is much more aware of the quality and presentation of courses and demands constant improvements in the playing surfaces on a year-round basis. The increase in popularity of competitive golf has resulted in more golfers wishing to play earlier in the day. Our greenstaff take a great pride in their professional workmanship and their presentation of the golf course, therefore starting times for competitions must be adhered to allow adequate preparation of the golf course. Starting times will be adjusted throughout the season relative to first light and workloads. The greenstaff have priority on the golf course at all times and golfers must not play a shot if a member of the greenkeeping staff is in range and therefore at risk of being hit by a golf ball. The greenstaff will be aware of holding up golfers and will adjust their work routine accordingly. Measures such as removing the flag from the green until work has finished should be understood by each golfer. Clitheroe Golf Club is situated on parkland with woodland areas situated within the perimeter of the course. It is an important part of the Policy to preserve the natural habitat of birds, animals and flora on the Course. Woodland maintenance will be carried out in such a way that it has as minimal impact on the natural habitat as possible and encourage wildlife. Trees that affect the Golf Course, particularly those that impact on the playing surface quality by inflicting shade, disrupting drainage with rooting systems, obscuring visibility for golfer’s safety playing shots, or overhanging branches on teeing grounds may need to be lopped or removed. Himalayan Balsam is a serious threat to the Golf Course and action must be taken at the appropriate times of the year to help control and eventually eradicate the plant. The pond at the 5th hole has good wildlife features and has the added advantage of flowing water. Consideration should be given to encourage and maintain additional wildlife associated with water habitats. Identify areas around the course, (out of play) that are suitable to encourage wildflower and maintain them to develop and expand through the years. therefore, it is assumed that any Environmental Management Plan will be incorporated into or dovetail with the Course Policy Document. Course Manager. It is also vital that this appointed person understands where his role finishes and the Course Managers begins.